A new Apple store about to open in Vancouver’s Metrotown mall. Image: Reader Prem Sharma. 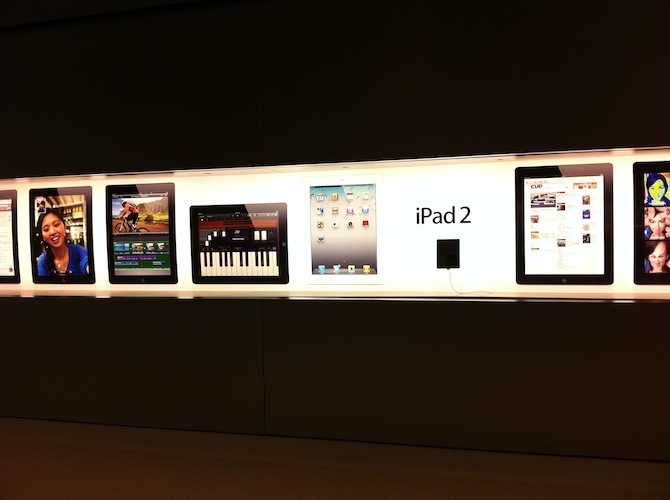 UPDATE 2 [MONDAY, September 19, 2011 at 3:40Pm ET]: The Metrotown Apple Store in Canada has been confirmed on the official Metrotown account on Twitter. Following grand openings last week, Apple remains adamant to open additional stores worldwide in order to meet its self-proclaimed goal of having thirty new brick-and-mortar spots ready by the end of September, coinciding with the expected launch of the next-generation iPhone. B. C. Metrotown, Vancouver, Canada – Apple is opening a new retail space shortly in the Metrotown mall, the biggest flagship mall of British Columbia in Canada. 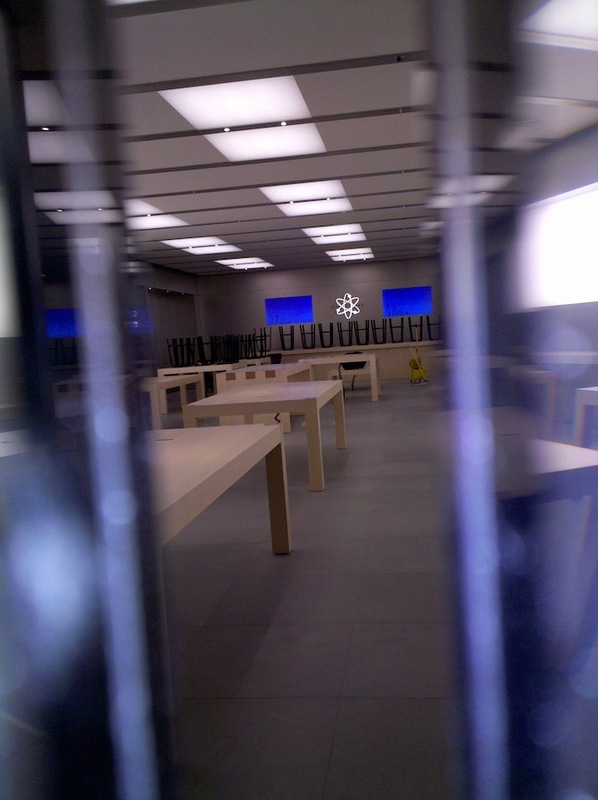 The store was not listed on Apple’s retail site at press time so grand opening may not be imminent yet. Apple also operates three other stores in British Columbia, the Oakridge Centre store, the Pacific Centre store and the Richmond Centre location. 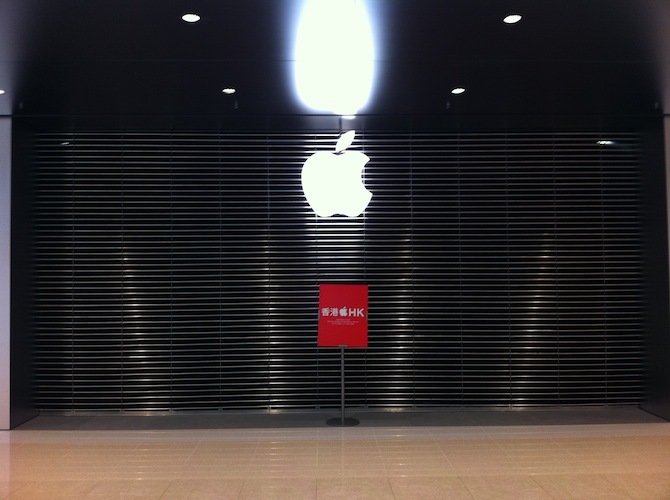 UPDATE: iPhoneinCanada.ca notes that Metrotown on Twitter confirmed the September 24 grand opening. 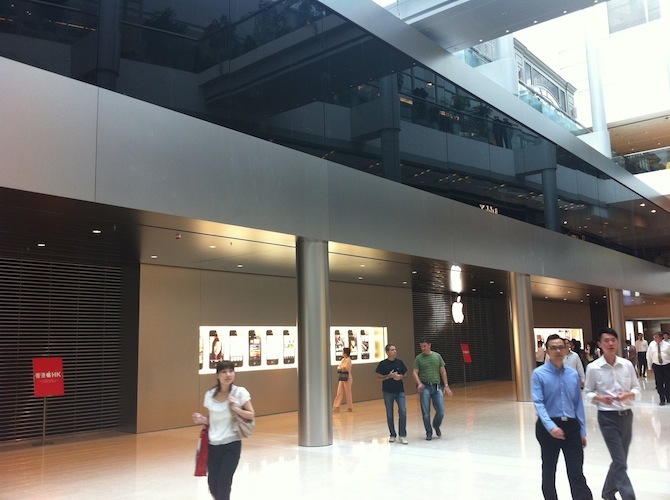 Apple’s store is located “on the top floor of the mall nearby Guess, Lululemon and Mexx”, the site adds. Mark your calendars: The new Apple Store at @MetropolisatMet will open on September 24th, reads the tweet. Nanjing East, Shanghai, China – A listing for this massive store on Apple’s Chinese retail site mentions grand opening this coming Friday, September 23. 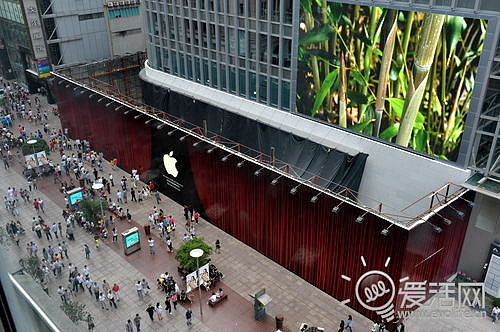 Recent photos reveal a wide building adorned with the red curtain promotional signage matching that on Apple’s retail site. Shanghai’s third store sporting five levels is located at the corner of Nanjing Road East and Henan Zhong Lu, within walking distance of the city’s famous skyscraper panorama and right within The Bund, a major tourist attraction consisting of the wide avenue of historic buildings. 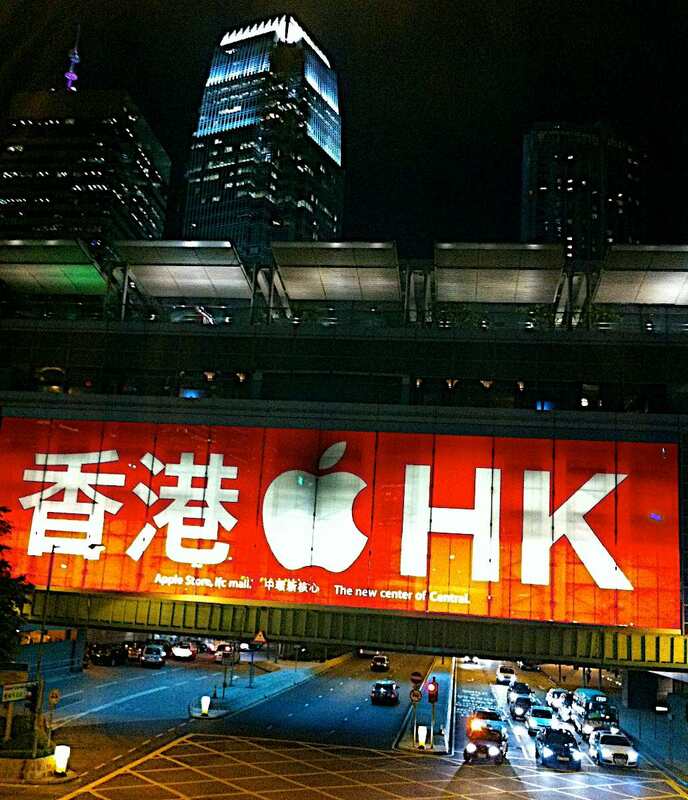 The Nanjing East place will be Apple’s biggest store in China yet and their sixth store in the country (including the upcoming Hong Kong store). It is said to sport four floors of retail space. Shanghai is also the home to the spectacular cylindrically shaped Pudong store and the Hong Kong Plaza store. The IFC Mall store will have a unique two-level design. The rear wall of both levels are glass windows looking out towards the city. On the inside, the lower level has two wide stainless steel walls, with a visitor entrance in the middle. 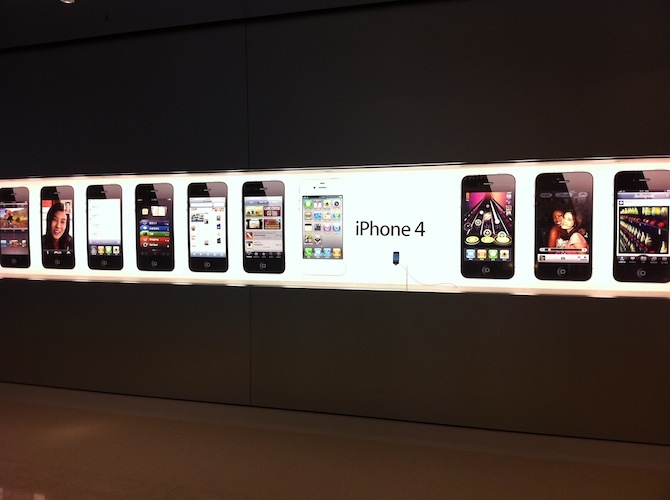 The walls include back-lit display cases promoting Apple’s products. The upper level has an all-glass front window, with a glass bridge to a mall hallway. A spiral glass staircase connects the two levels in the middle of the store space. The storefront is trimmed in stainless steel, including the support columns for the upper level. The store space is rather shallow, but very wide—about 35 feet deep by 90 feet wide. This may explain why the lower level has a solid front wall—it provides more wall space for product displays, which a glass window would not provide. Overall, the public store space could total up to 8,100 square-feet.